You are probably familiar with the acronym ABC which is short for “always be closing.” This is a mantra preached by many in the sales world. Lucky for me, I’m not a salesperson. So I like to live by a different philosophy – ABT. Look, I am a huge fan of data and analytics. Particularly when it comes to social media analytics. There is so much that can learned by knowing what does or doesn’t work. But did you know that you can use Twitter to A/B, split test or even multivariate test? Not only just sharing different variations, but the ability to easily view your tweet analytics side-by-side in Microsoft Excel. It’s true and today I am going to reveal how I use Twitter Analytics and Excel to do perform your own tweet analysis. There is a lot to go through, so let’s get started. Download My Ready-To-Go Excel File – Click here to download my Microsoft Excel file so you can easily view your tweet analytics. 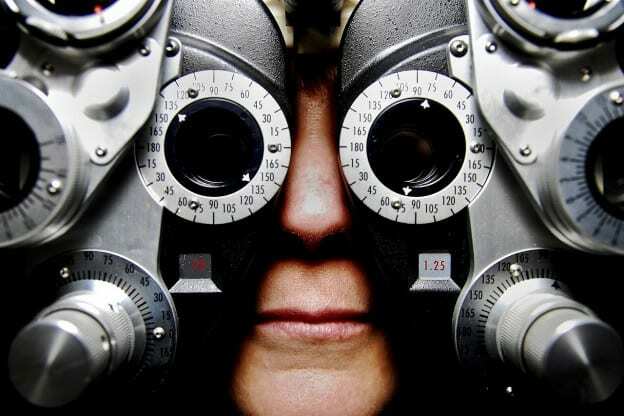 The two most common types of testing are A/B testing and multivariate testing. The idea with an A/B test is to run the control (A) against a controlled variation (B). The important thing about running A/B or multivariate tests is to know what you are testing for. Are you interested in engagement rate, number of URL clicks, likes, retweets, etc. Knowing this up front can help you create better tests. There are many different ways you can test. For example, there are WordPress plugins that can switch out your blog titles. But, what if your site doesn’t get a ton of traffic? You will be waiting forever to get results of what does or doesn’t work. Other options for testing include using paid social ads. While this does work and can get you results rather quickly, maybe you don’t have a budget to do this? So what’s the free solution? Of course, if you want to use this method you should have a decent size following or a very engaged user base. When you create a Twitter account, you will also be able to get access to your Twitter analytics. It’s a pretty easy process to get setup. If you already have Twitter Analytics up and running, you can go ahead and skip to the next section. So if you don’t already have a Twitter account (I won’t judge you), go ahead and create your account. Once your account is created, you have “turn on” Twitter Analytics. Simply go to Twitter Analytics and login. Once logged in, you will see a button to click in order to setup your Twitter Analytics account. It’s important to setup your Twitter Analytics account as soon as you can since data won’t be tracking until you have activated your account. Depending on if you are using a new account or already had one setup, your date range of data will vary for your tweet analytics. In order to run any sort of test, you will need at least two things (versions) you will want to test. This can be something as simple as changing the CTA in a tweet from “click here” to “read now”. Or you can have two entirely different texts to test. Additionally, you can test tweets with or without images. 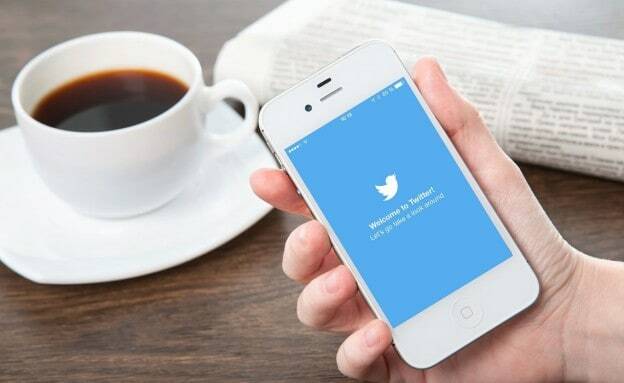 For me, the easiest way to create tweets come from work that I have already done. Simply put, I scan the blog post I will be sharing to see what I would like to test. This is one of the ways I go about creating evergreen social media updates – see #4. 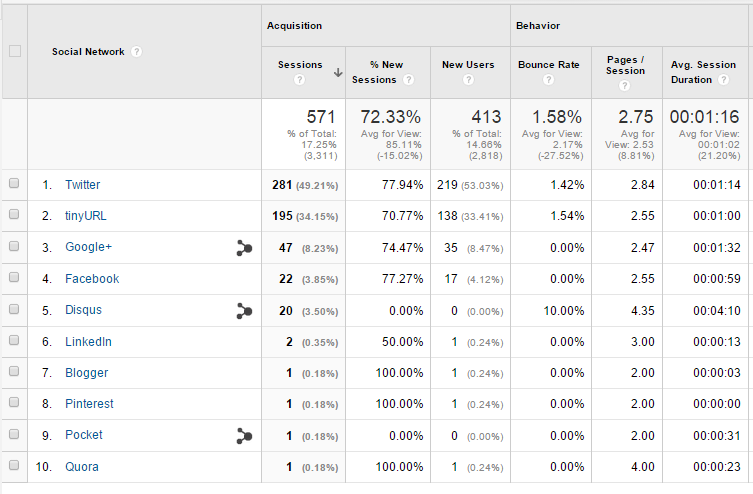 You could decide to test the section heading against the blog post title as well as the statistic. 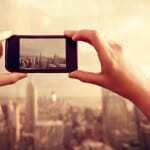 Another option for testing could be to test whether the use of an image with the tweet effects engagement rates. To do this, you would have a tweet with an image, then another tweet exactly the same but without the image. Additionally, you could test tweets that both had the same image, but different text. I’m sure as you were pounding away at the keyboard on your latest blog post you more than likely came up with a handful of blog post titles. There are some you probably thought were garbage, while others made it difficult to decide if it should be the one you ultimately roll with when you publish your post. Why not take your different titles and use them as the text of the tweet? You can then see which one(s) get you the most engagement. Who knows, it could be the one you least expected…but you’ll never know until you test it with your social audience. Are you using hashtags in your tweets? If not, you could potentially be missing out on more engagement. 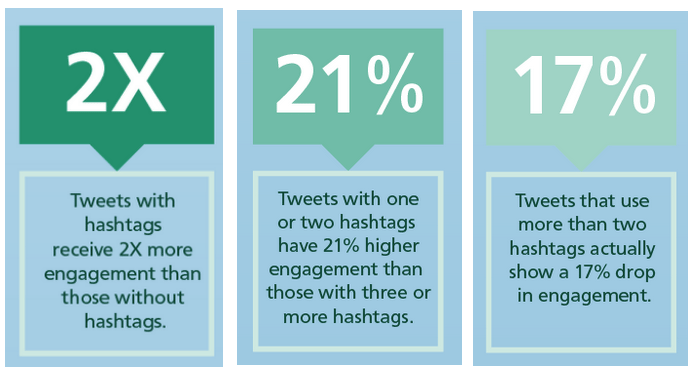 According to this Buffer post, tweets that use hashtags can get double the engagement rate. But be cautious if you plan on using more than two hashtags as engagement can drop. If you aren’t using hashtags, you might be missing out. But you won’t really know unless you do your own hashtag analysis. No matter which route you decide you want to test in Twitter, I recommend creating a file to save all your variations of Tweets. This will make it easier for you when you want to share the tweets. You could do this in Word, but I prefer Excel in that I can sort/filter if I have quite a few tweets to schedule. Plus it makes it easier to get your content into a social media automation tool. Depending on how you want to test may determine the approach you take to schedule your tweets. Some people prefer to post both variations at the same time and base their results on just those two tweets. 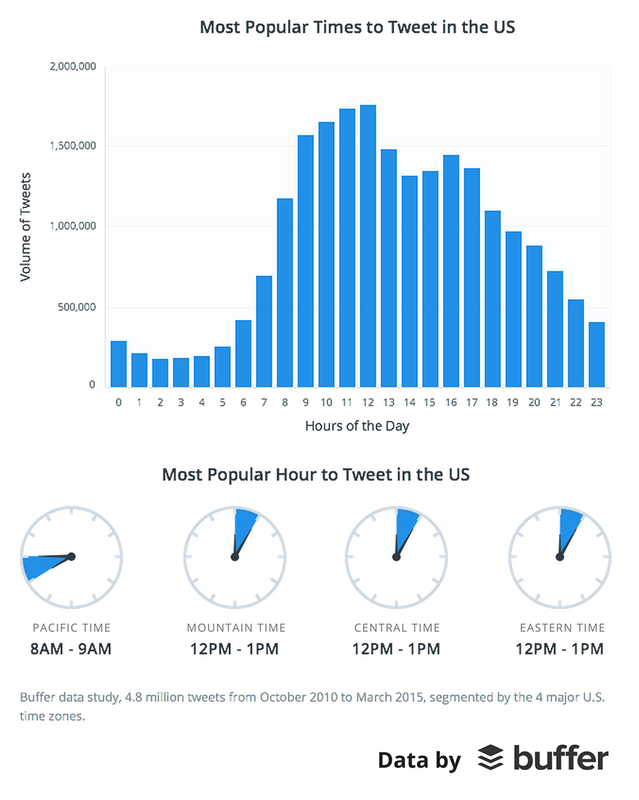 You can even identify the best times to tweet for your followers, and choose to post during those times. Other people, myself included typically like to share the different variations again and again over a period of time. Good news is that whether you want to only post each test/variation once or multiple times, you have several options to schedule these Twitter tests. This approach would work best if you plan on doing a one-time test. Meaning that you want to simply post the tweet one time and see what happens. Simply login to your Twitter account and post your tweet from the Excel file you created. Once posted you can check the tweet stats on Twitter for that single tweet. Now, unless you have a huge Twitter audience you probably won’t get too much insight from posting a single tweet. As you know, only a fraction of your audience will actually see your tweet. Therefore, I recommend posting the same tweet multiple times to maximize exposure and to get enough data to make an informed decision. This can easily be done through scheduling your social media posts. One of the largest social media scheduling tools is Hootsuite. 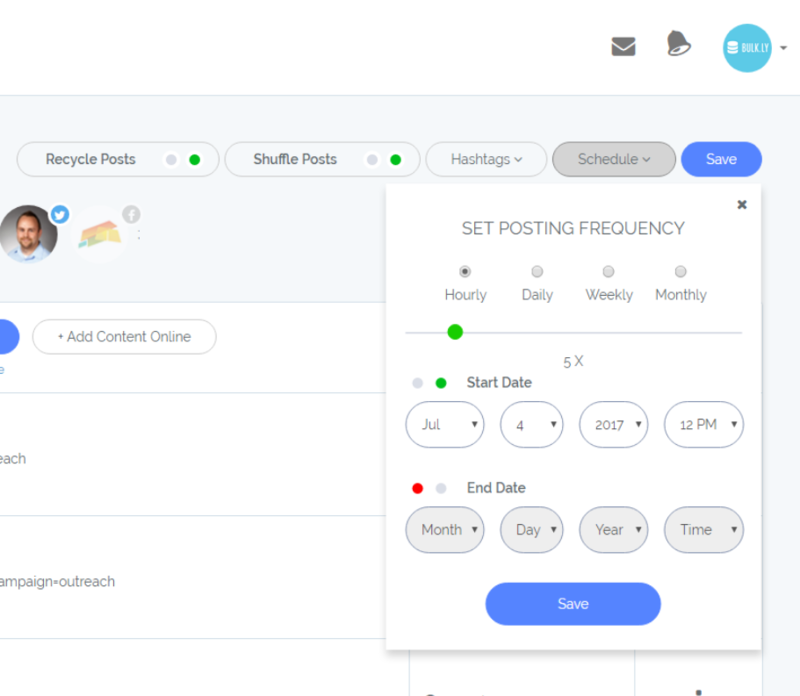 This tool will allow you to do many things on Twitter including social media monitoring, team collaboration, and the ability to schedule tweets. Remember the Excel file you created with your tweets? With some slight modification you can use it to upload your tweets to Hootsuite. To make your Excel work in this format, you will need to insert a new column to the left of Column A. This will push all your columns right one letter (Column B becomes Column C, etc). You will then need to delete the column with any images you had listed. Unfortunately, Hootsuite doesn’t allow the use of images in a CSV to be attached to your tweet (If there is a way to do this, definitely let me know). 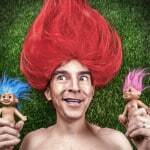 Before we save and run off to Hootsuite, you will need to set up days and times to post. Perhaps you already know this info, if so you can enter it in the cell of Column A. Please note that the proper format for this is MM/DD/YYYY HH:MM:SS PM. If you don’t know what day/time you want to post yet, I would just enter some random future dates and times into these columns. Then once your CSV is uploaded, you can rearrange when you want certain tweets to be published. It’s important that you save the file as a CSV. To do that in Excel, click “File > Save As” and for the file type select “CSV (Comma Delimited)” from the drop down and then click “Save”. Next, you will need to login to your Hootsuite account and click the “Publisher” tab in the left menu. Once in the publisher tab, click on “Bulk Message Upload”. 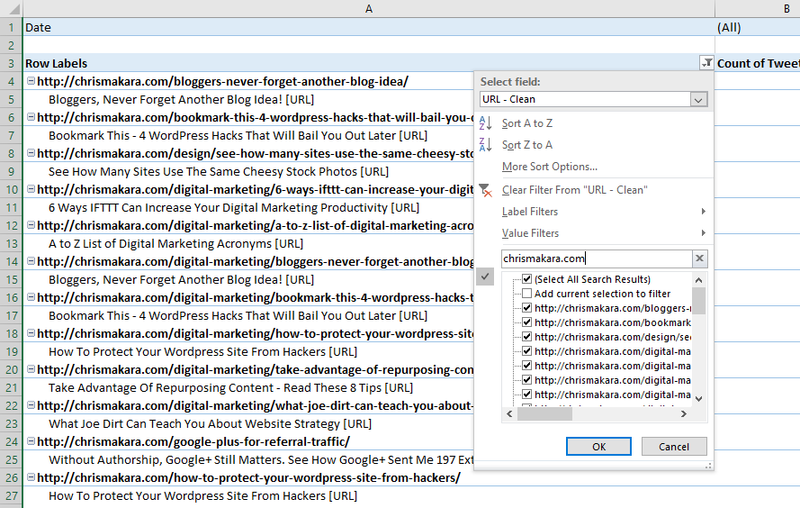 Simply click the “Choose File” button and browse your computer where you saved your CSV file. Next you will need to select the social network (Twitter account) you want to schedule these tweets for. The final step is click the “submit” button. Once your CSV file has successfully uploaded, you will be redirected to calendar of scheduled posts. From here you can move around and edit any of the days/times of when the tweet should be published. 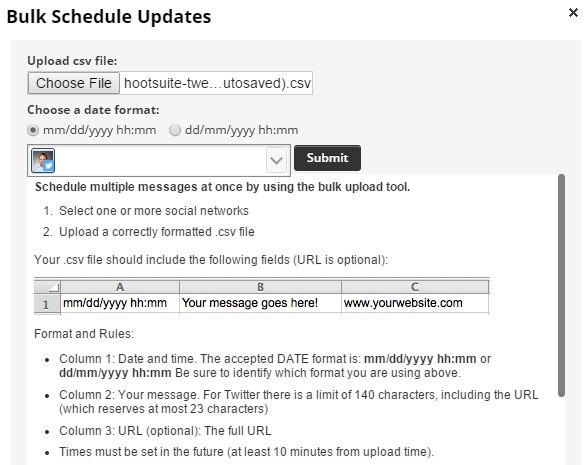 Hootsuite only allows you to upload and schedule one version of an update. Meaning that you can’t typically upload duplicate tweets. You will have to re-add them later once they have been published. There is not an easy way to recycle your tweets to use again and again automatically if you want to post the tweets multiple times. You will have to re-add your CSV file once all scheduled tweets from it have been sent. If you want to attach an image to your tweet, you will need to manually click on the tweet to edit it and upload your image. If you are not already using Hootsuite, you might need to decide if it is right for you to schedule your tweets for testing. An alternative to Hootsuite is Buffer. 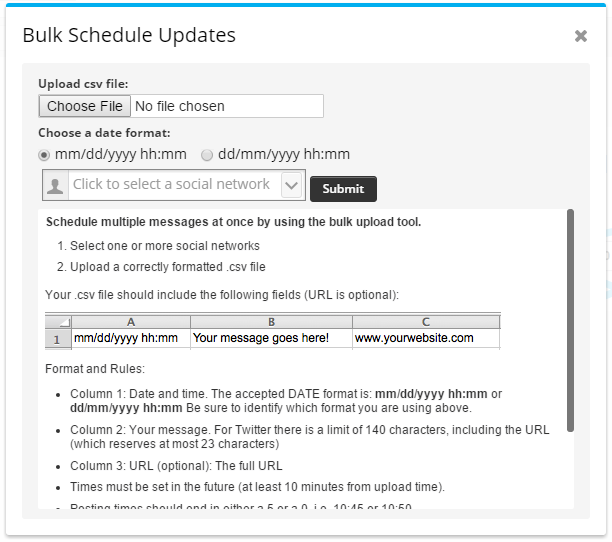 Buffer is another social media tool that has a primary focus around scheduling Twitter updates. 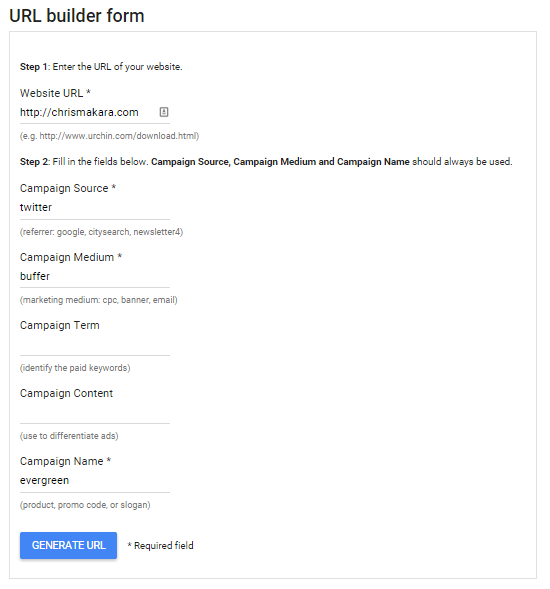 If you would like to use Buffer to schedule your tweets, unfortunately it is a manual process. To add your tweets for testing to Buffer, you will need to first select your Twitter account to test with and then click on the text input box to create your tweet. You can then drag (or copy) down this formula to the end of your list of tweets. When you are ready to add them to Buffer, simply copy the text from Column D and paste that into Buffer when you create your tweets. The tweets you add to Buffer will automatically be slotted into the next available time you have setup. You can easily drag a tweet to move it up or down in your queue. Additionally, if you want to create a custom time to post the tweet this can be done by hovering over the tweet and clicking the “edit” link. Next, click on the date to select a particular date. If you want to set a custom time outside of your default schedule, simply click on the “custom time” link and enter the time you want to tweet this post. Be sure to save your tweet! If you want to post the tweet right away, you can hover over the tweet and click “share now.” This will send your post to your Twitter account immediately. 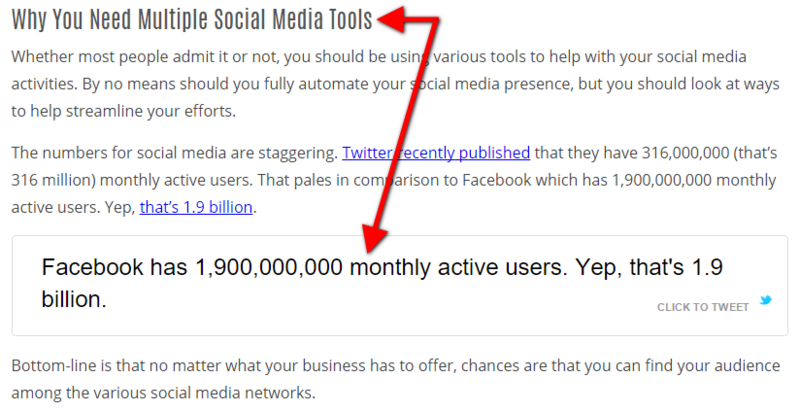 Should you want to simply upload a CSV to populate your tweets automatically, there is a way to do it. One of the nice things about Hootsuite is that you can upload a CSV with your tweets. With Buffer, it’s not an option. However, I’ll show you how to upload a CSV to Buffer. In order to upload a CSV to Buffer we are going to do it with the help of a site, Bulkly – full disclosure, I created Bulkly and it is currently in beta. The first thing you will want to do is create an account and connect your Buffer account. Once you have granted access to Buffer, all of your social media accounts in Buffer will show up in Bulkly. Bulkly will send updates to your Buffer account for you. Bulkly offers a handful of options to load up your Buffer account, but for this post we are going to focus on the “Content Upload” option. Unlike Hootsuite, Bulkly will allow you to group together social media updates. Notice the pending, active, and completed columns that each have groups of updates within them. It makes it very easy to stay organized. And this comes in very handy if you are going to want to post these updates again and again in order to get more exposure and data. Additionally, it allows you to keep these updates separate from any other updates you have grouped in Bulkly which will allow you to set more or less frequent sending to Buffer. When you are finished running your Twitter test, there won’t be any need to sift through hundreds of scheduled updates to remove only a few – you just have to delete the group or drag it over to the “Completed” column. One thing to note about Bulkly is that it currently uses your posting schedule as it is setup in Buffer. This means that when a tweet is sent to Buffer, it will be added to the next available spot in your Buffer queue. Before we get started, we’ll need to tweak the Excel file to work with Bulkly. If you aren’t interested in messing with a CSV, you can easily create your tweets online instead. Click here to see how. To assign these tweets to a group you will need to create at least one group. In Cell A2, you will enter the group name. Then on row 3 you will start entering the URL, Image URL, and content as outlined above. When you have completed entering your data, it’s important that you save the file as a CSV. To do that in Excel, click “File > Save As” and for the file type select “CSV (Comma Delimited)” from the drop down and then click “Save”. 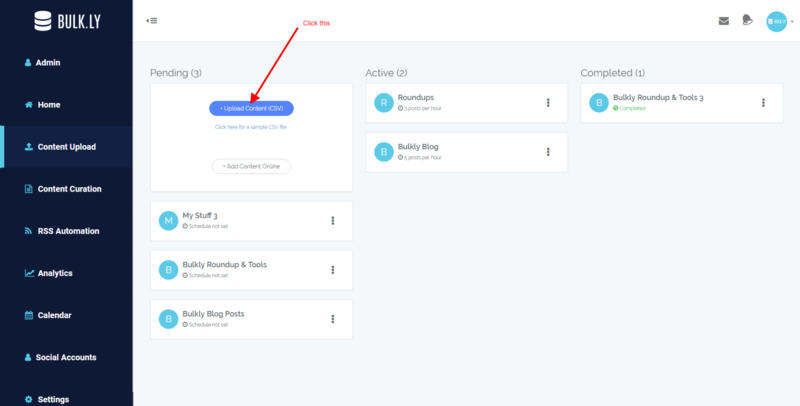 From your Bulkly dashboard, you will want to click on the “Content Upload” link and then click on the “Upload Content (CSV)” button. Browse for your file. Once uploaded you will be directed to your “Pending” queue. This will show the posts you have uploaded, but not actually scheduled. From here you can edit and of the items you uploaded. When you are ready, you’ll need to select the Twitter account(s) you want to send these updates to as well as how often you want to send them to Buffer. Click on the “Activate” button to move everything in this group to the “Active” queue. Within a few hours your tweets will be dripped into your selected Twitter accounts at the intervals you selected. Now if the whole CSV talk was a little much, Bulkly gives you the option to simply create the tweets directly on the site. From your “Content Upload” screen, click on the “Add Content Online” button and enter the data through the interface. Once you have entered your tweets, be sure to activate your group to start sending to Buffer. Once your tweets have been posted a handful of times, you can start to export your Twitter data. To do this, we will be using the Twitter Analytics account you previously set up. In your tweets tab, by default you will see your last 28 days of tweet activities. This date range can be changed to show a maximum of 90 days’ worth of data starting from when you first setup your Twitter Analytics account. This page is full of key data for your tweets. Among the data displayed are impressions, engagement rate, link clicks, retweets, likes, and replies. All of this data is shown in the right sidebar. Engagement rate is calculated by taking the number of engagements and dividing it by the total impressions. Your most recent tweets can be toggled using the “Tweets”, “Top Tweets”, “Tweets and Replies”, and “Promoted” tabs. This easily allows you to segment your tweets at a quick glance. 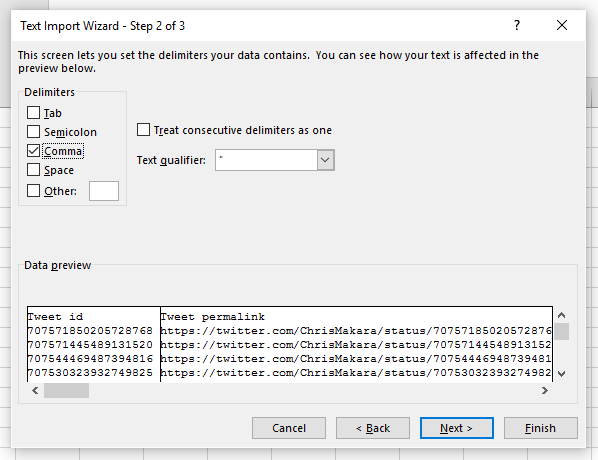 In order to know how your various tweets used for testing performed, we need to export your tweet data out of Twitter. Luckily, this is a very easy process. Just click on the “Export Data” tab and wait for it to download. As I mentioned, you can export up to 90 days of data at a time. So if your Twitter testing has lasted longer than 3 months, you can set the date range to be sure you download all the data. You will just need to combine the data into a single Excel file to get the whole picture of your tests. After you have downloaded all your data, it’s time to move on to the fun part – manipulating the data to see what does or doesn’t work. Raise your hand if you just cringed at the sight of using Excel. Don’t worry, I won’t bore you with all the intricacies of how I did this – just some of the key components that make this possible. But before we go any further, you’ll need to download the “ready to go” spreadsheet for analyzing your Twitter A/B testing data. Normally, I like to provide everything you need to know in the blog post, but there are various behind the scenes items going on to make this all work. You can try building this out yourself as detailed below, but it’s probably best to skip the headache and grab my working file. The first thing you will need to do is open your exported Twitter file. 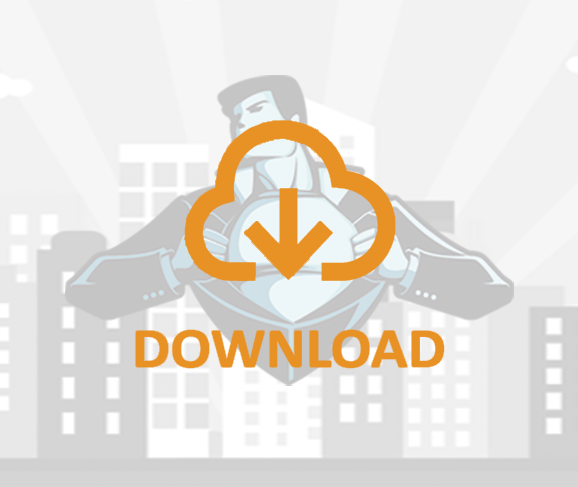 Sometimes, just clicking on the downloaded file will automatically open correctly and import all the data. Should this not be the case, you can manually import the data in a few steps. The first thing you need to do is click on the “Data” tab and then on the “From Text” icon. Next, you will be asked to find the file you want to import. In this case, you will need to find your exported Twitter file. After, you select the file location a wizard will load (nope, it’s not Gandalf). 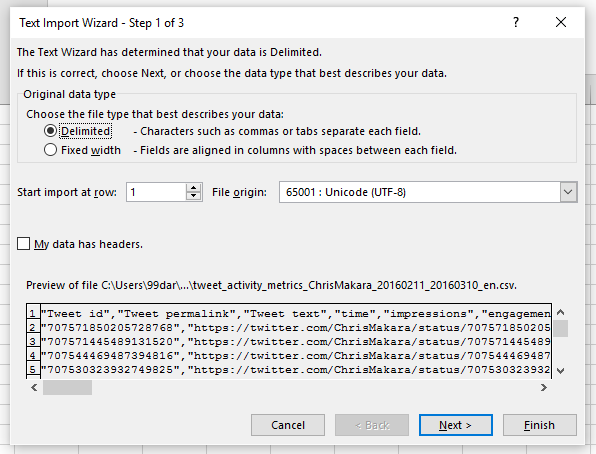 For step 2 of the wizard, you need to indicate the delimiters of the file. In this case, the file is delineated by commas. Uncheck all boxes and have the box selected for comma. You will know it is working when your rows of data become organized into columns. Click next. All of the data from your Twitter export will be added to the spreadsheet. If you exported multiple date ranges from Twitter, just repeat this same process. However, you can insert the data at the end of the data you already imported. Just be sure to remove the row containing the header info for each set of data you import. Once all your data has been imported, rename your Excel tab as “Raw Twitter Data” and save as an Excel file (not a CSV). If you want to try building this out yourself, or are just interested as to what is happening in the file keep reading. Not interested in this kind of stuff, I won’t judge – you can click here to get to the part of reading the data. Unfortunately, in order to really segment the data we need to add some “helper” columns in our Excel file. These will have various formulas and formatting. Once your table is created, you can easily create the additional helper columns. These columns will need to be created in the first available column to the right of your table. The benefit of creating a table out of your data is that it will automatically copy down and formatting or formulas you create in the new columns. So let’s add some helper columns. The first column you will need to add is called “Short URL” (type the name in cell AO1). The purpose of this column is to extract any URL that was in the tweet. Once entered, you will see the shortened URL from the tweet if there is one. The table you created should have automatically copied itself to the last row of your data. This column will be used to unshorten the shortened URLs. The reason we need to do this is that you will have different shortened URLs for each tweet. When we are building out our pivot table later, having a bunch of different URLs will make it impossible to group the data together. Therefore, you will need to add this module to your Excel file. Click on the “Developers” tab in Excel. Not seeing the tab, here’s how to add it. Please note that if you renamed your table, you will need to change it in this formula. Otherwise, the table you created should be named this already. Once entered, this column will unshorten your URLs. Please note that depending on how many rows of data you have, it can take quite a while to unshorten. For example, it took close to 2 hours to unshorten about 6,000 rows of data. If you have thousands of rows of data, I would let the URLs unshorten. Once completed I would copy the column and paste the values directly on top of the formula for this column. The reason being is that when you add the additional columns below, Excel will try to recalculate the formulas again depending on your settings. By having just values for the unshortened URLs, Excel won’t have anything to recalculate. Depending on how you track your social media analytics you may have query parameters on your URLs. This column serves as a way to remove those parameters so that you are left with a clean URL. You’ll need to name the column as “URL – Clean”. 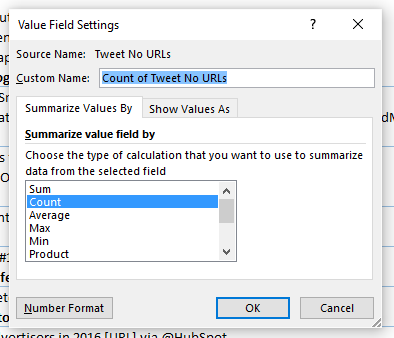 This will allow you to easily group your tweets by URL in the pivot table we will be creating later. However, what happens when you are still left with a URL in this column? For example, if there is a link for an image? No worries, just one more helper column to fix this. With this, you will be able to see which tweets contained an image. You will need to change the format of the column from “General” to “Short Date.” To do this, highlight Column AT and then in your “Home” tab of Excel, select “Short Date” from the dropdown. Once you have created your helper columns, you can get to the good stuff which is viewing your results. No worries, it’s really easy. A dialog box will popup asking you where do you want to create this table. Just click “ok” and it will create a new tab for the table. On this tab you will see the “Pivot Table Fields” menu. You need to make some minor tweaks in the “Values” section so that the data is summarized properly. This will now count all the cells with data in a row with data for this field. Following the same process, you need to change the “Value Field Settings” for the “Engagement Rate” to summarize the value field by “Average.” This will show an average engagement for each tweet. 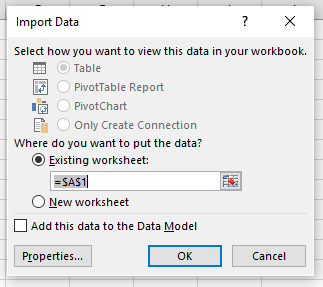 Your pivot table is now ready to go. However, you will notice that there are probably a lot of tweets that you aren’t interested in. Your filtered results will show you the URL(s) tweeted for that domain and the different tweets that were sent linking to that URL. Viewing the columns to the right, you will be able to see the different type of engagement that specific tweet text generated. 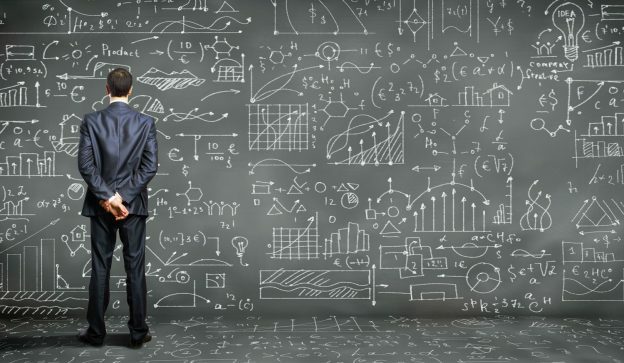 You will need to determine what your main KPI is. 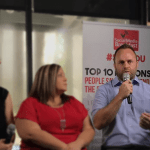 Typically, I put more weight onto the average engagement rate in that I am looking to create social updates that drive more overall engagement. On occasion, I am more interested in driving clicks to a URL so I will look at the URL clicks. However, instead of showing the sum (total) clicks to a URL, I change the column to show the average clicks for the social media update. The beauty of this report is that it is pretty flexible. You can tweak it to show the data you want. You will notice that Twitter exports quite a bit of data which will allow you to manipulate it to your needs. Which tweets generated the most hashtag clicks? What are the average impressions per tweet? If you are crafty with Excel, you can do even more – in fact I am in the middle of creating a full blown Twitter Analytics dashboard. You can definitely get creative with your use of the data. There will be quite a few variables involved in regards to how long it will take you to reach a statistical significance with your results. If you have a rather large Twitter audience, you may not have to post your tweets as many times. This will be especially true if your tweets get a decent amount of impressions. With a good amount of impressions, your tweet should be able to generate some interactions. These interactions will ultimately reflect on how engaged your following is with your tweets. 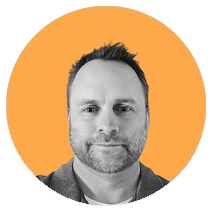 While you may not want to wait until you have enough data to truly reach statistical significance, more than likely you can still make an informed decision regarding what you are testing. An easy way to see if you have reach statistical significance between two tweets is to use this free online tool. For the “The number of visitors on this page was” column you will enter your tweet impressions. Then in the “The number of overall conversions was” column you would enter the number of social actions you are monitoring. This could be URL clicks, likes, retweets, engagements, etc. Once you plug in your numbers, this nifty tool will tell you if your results are statistically significant. Even if your results are not statistically significant, chances are you can tell when something is a dud or not. For most, the way you will be able to get to statistical significance is to be sure to post your tweets multiple times to increase the overall impressions of each. Typically, my tests are not necessarily time sensitive in that the majority of my posts are evergreen in nature. This makes it easy to run my test tweets for an extended time. Everyone’s situation will be different in regards to how long or how many times you should tweet your tests. I would say a good start is at least 10 times or so. However, it might be best to spot check your Twitter Analytics every few days to see how things are going. As I mentioned at the beginning of this post, I am always testing. Once you have run your initial tests, no matter what they may be, you should look at ways to improve upon what you found that works. For example, let’s say you identified a tweet that generated the best engagement rate among the group. Why not test that against the same tweet, but with an image attached? See how that impacts your engagement rate. Perhaps you didn’t get enough impressions for some of the tweets you were testing. Next time, schedule them more frequently during times that your Twitter audience is most active. The key is to always look at ways to improve your results each time you test. Will it always improve? Probably not. But you won’t know until you test it. Be sure to grab the Excel file for Twitter testing if you haven’t already. Also, let me know in the comments how you plan to use this approach. This entry was posted in Social Media on March 28, 2016 by Chris Makara. 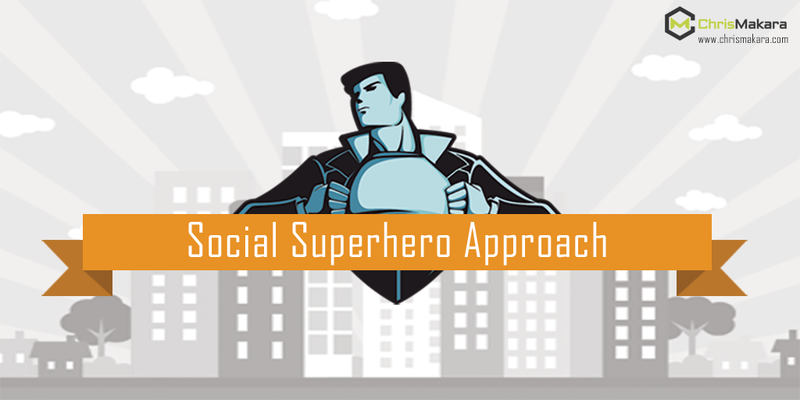 This entry was posted in Social Media and tagged social media analytics, social media metrics, social superhero approach on May 20, 2015 by Chris Makara. 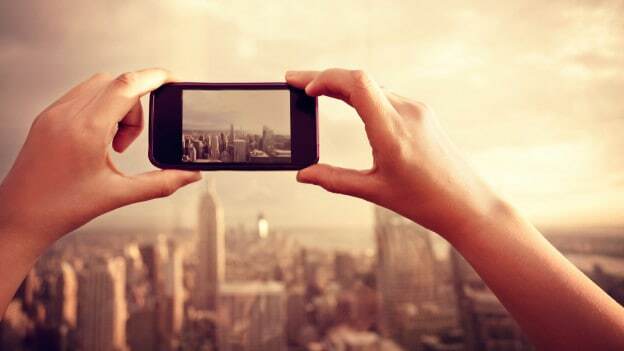 While Instagram might not be for everyone, there are countless businesses getting started on Instagram. However, what if you need a quick glance into some Instagram user data? Sure, there might be some tools out there that can give you more detailed data…but I needed something quick and easy that would let me copy and paste a list of Instagram usernames into it and then give me some basic stats for the users. My choice of tool for this job was Microsoft Excel. I’ve had great success with my Twitter Dashboard for Microsoft Excel, and it only made sense to make one for Instagram. Please note that with the recent Instagram API changes, this approach is not currently working. Once I find an alternative solution I will be sure to post it. Need a More Advanced Instagram Scraper? Contact me to discuss the development of a custom Twitter scraper to get the Twitter data you need. In order to get the Instagram data to magically appear in Excel, we first need to install the SEO Tools Excel Plugin. Niels’ site provides the installation instructions which are pretty easy. When installed, this plugin will allow us to gather data from URLs and instantly pull external data into Excel. Please note that this MUST be installed in order for the steps I provide below to work. Once you have downloaded it and activated it in your Microsoft Excel add-ins menu, you should see the SEO Tools tab in the top navigation ribbon. If you have never used this in Excel, I highly suggest exploring all you can do with it. You will be amazed at what is possible! Now that you have installed Niels’ SEO plugin, we can start creating some formulas that will get the data we are looking for. Initially, I was going to use Instagram’s site to get the data; but I decided to go another route. To get the data I decided to use a site called Iconosquare.com – which provides various Instagram data for your account. Sure you can easily see stats of your own account. But what if you could easily view these same stats for others in Microsoft Excel? Before I lay out the process for setting up your Excel file to get this data, I want to quickly explain the process of how Excel is able to get the data. You will be using a feature of the SEO Tools plugin called “XPathOnUrl” which will allow you to get the data from the Xpath of a page. What is Xpath you ask? Xpath is a query language for selecting nodes from an XML document. It basically allows you to get values from a XML document. In other words, we are using this to scrape data from a website. Now let’s move on to the formulas! Don’t want to create the Excel file? Click here to download my “ready-to-go” Instagram Scraper Microsoft Excel file. In cell A2, we will enter the Instagram username of the profile we want to gather data for. Simply leave this cell blank or enter a profile name you would like to get the data of. What this formula is basically saying is that if it returns an error (IFERROR), then the cell should render blank. If there is no error, then it will merge (CONCATENATE) the URL with the Instagram profile ID. You will notice that I use “IFERROR” on most of the formulas below. This formula visits the profile page and looks for the content in the class “clear bio-user” which is where the profile bio information is. Using this formula, Excel will display the number of users an account is following. The result will show the number of uploads with the word “media” after it. In the next column we will remove the “media” text so it shows just a number. With this formula, the column will show only the number of uploads a user has made to Instagram. Now that you have successfully created your Excel file (you got it working, right? ), in what ways can you use this data to your advantage? In what ways do you plan on using this data to your advantage? Be sure to let me know in the comments below. This entry was posted in Social Media and tagged instagram data, instagram data collection, instagram data mining, scrape instagram on January 29, 2015 by Chris Makara. Who doesn’t love data? Not just Data who was in Goonies, but cold hard Twitter data? Back in the day (I guess I am showing my age here), the character Data had all the gadgets in Goonies. No matter the situation he seemed to always have some contraption that bailed himself (and others) out of trouble. Twitter has tons of data to bail you out of a jam. Whether it is content creation ideas, targeting the right followers, or even seeing what your competition is up to. While there are countless tools that provide insight into Twitter data, chances are you have said, “there has to be a way to do this in Microsoft Excel.” If not, now I might have you thinking. The bad news is it is not a straight forward process. 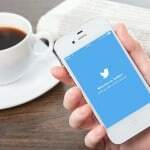 The good news is, I figured it out how to export Twitter data to Excel and will share the details on how to do it through some trial and error after reading this post from Matthew Barby. If you know of a better/cleaner way to construct any of the formulas, please let me know in the comments below. This entry was posted in Social Media and tagged twitter excel spreadsheet, twitter excel template on August 21, 2014 by Chris Makara.